Recognition that Romulo Café London has firmly planted the flag for fine Filipino food abroad has come with its inclusion in the 2018 TATLER Restaurant Guide, the A-list of top restaurants in London and the UK. 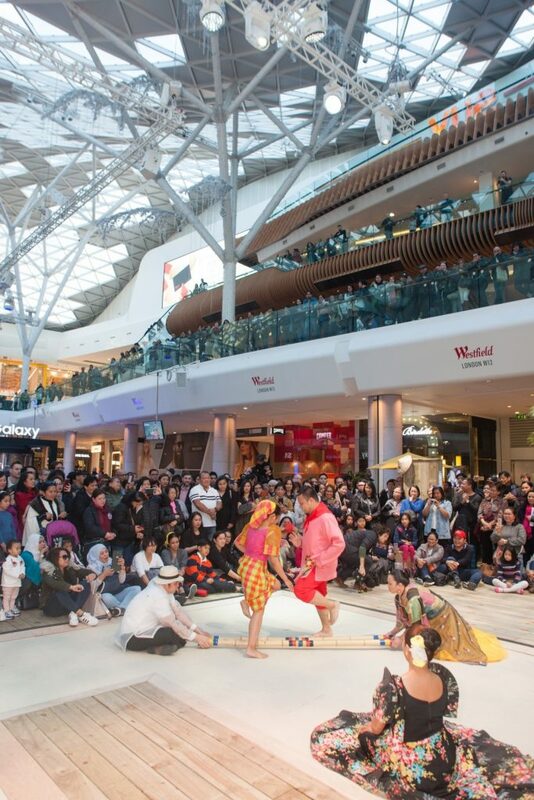 THE PHILIPPINES BRINGS THE FUN TO WESTFIELD LONDON! 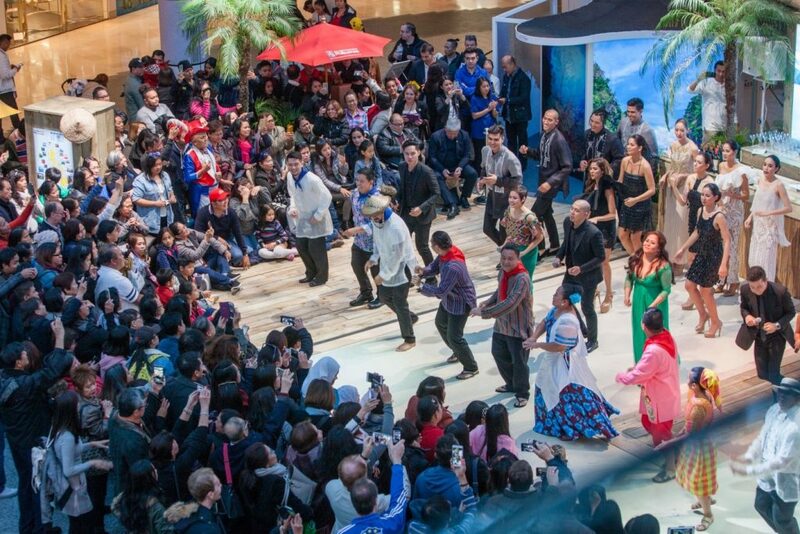 Shoppers at Westfield London were treated to a week of fun and cultural entertainment as the Philippine Department of Tourism staged the Philippine Tourism Week to give patrons of this luxury shopping and leisure destination a glimpse of the beauty of the Philippines through music, dances, fashion and the warmth and fun spirit of the Filipino people. Ranked as the number one shopping centre in the UK with a footfall of over 23 million annually (500,000 per week) and boasts of over 300 retail shops and services, Westfield London is indeed the perfect choice for the first mall consumer activation for the Philippines. One of the highlights of the week-long extravaganza was a unique artistic presentation dubbed “Philippine Tapestry” showcasing the exquisite fabrics and indigenous weaves as interpreted by Top Filipino Designer Renee Salud. The collections were seamlessly fused with traditional and delightful music rendered by former Miss Saigon sensation, Ms. Ima Castro, and the award-winning musical group, The Ryan Cayabyab Singers. Equally enjoyed by the crowd were the traditional Filipino dances performed by the Lahing Kayumanggi Dance Company, the amazing tricks and skills exhibited by world champion flair bartender, Dennis Barela, and the grand finale where all the performers sang and dance to “It’s More Fun in the Philippines” creating a contagious energy greatly felt and applauded by the audience. 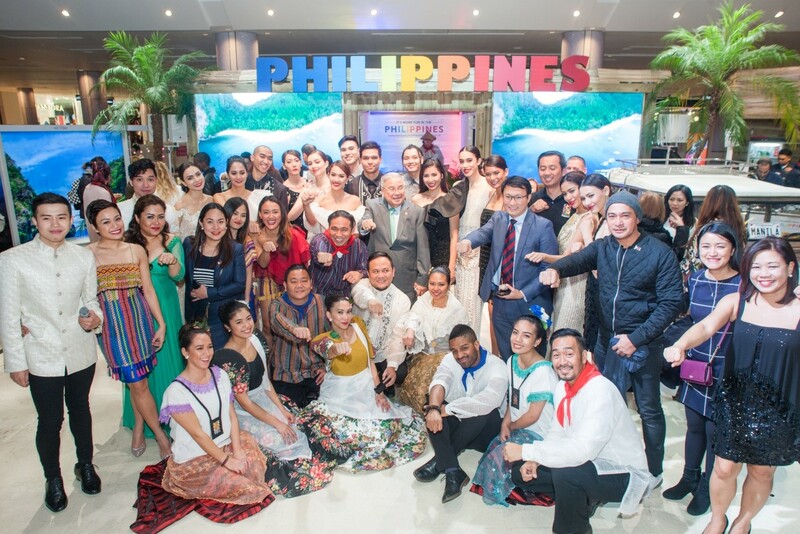 Almost 40 shows were staged altogether including two fashion each day and in between performances, visitors to the Philippine Pavilion immersed themselves in a multi-faceted Philippine experience using the virtual reality goggles, food and drink samplings by Romulo Cafe, photo booths with the country’s iconic sights whilst interacting with the Filipinos who provided information on the Philippines as a holiday destination. 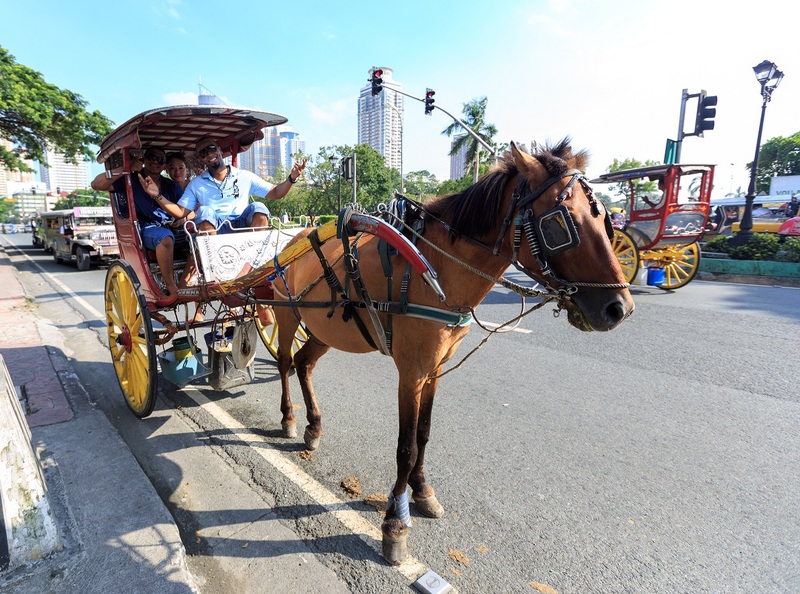 Onsite promotion and sales of tour packages to the Philippines were done by travel partners Jules Verne, Crystal Travel, Selective Asia, Premiere Holidays and Philippine Airlines. 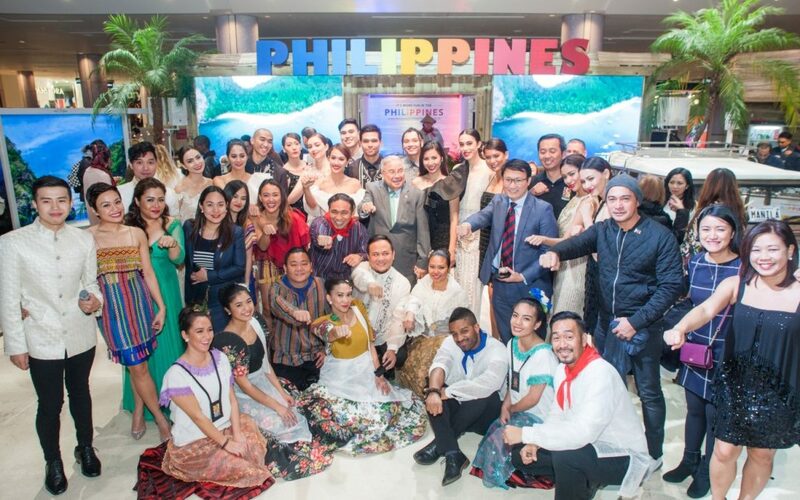 As an incentive, visitors were also invited to join the raffle featuring a 7-day holiday for two to the #bestislandsintheworld Boracay and Palawan courtesy of Philippine Airlines and partner hotels Conrad Manila, Discovery Primea, Club Paradise in Palawan and Dicovery Shores in Boracay. As a special treat to the Filipinos residing in the UK, November 5 was slated as Bring Home A Friend Day to encourage them to join and support the campaign as ambassadors of Philippine Tourism. Along with the various offerings and performances at the atrium, Philippine tourism campaign materials dominated the digital screens at the food hall, atrium and video walls dotted throughout the shopping centre whilst giant 14-meter high print ads on the Southern Terrace Walls greeted Westfield patrons coming from the Shepherds Bush underground and overground stations, making the Philippine Tourism Week truly felt throughout Westfield London. 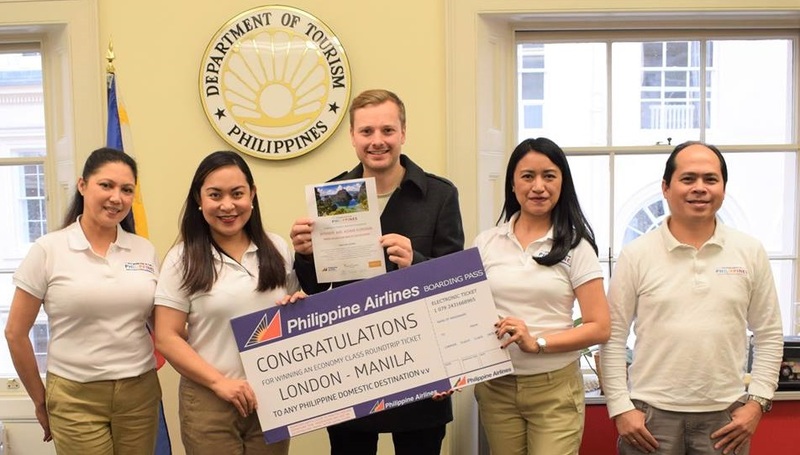 Congratulations to Mr. Adam Forman on winning the 7night Holiday Prize with flights from Philippine Airlines during Philippine Tourism Week at Westfield London. Enjoy your Philippine Adventure! Philippine Department of Tourism (PDOT) London – The tourist arrivals from United Kingdom to the Philippines rose by 17.27% on the month of September compared to last year. Year on year the total statistics shows a growth rate of 7.15% from January to September 2016 to 2017, respectively. Romulo Cafe was opened less than 2 years ago by owner Rowena Romulo as the first international branch of her family’s successful restaurant business in Manila. Her aim was to bring ‘a taste of the Philippines to the heart of Kensington’ while paying homage to the memory of her grandfather, the late Filipino statesman and diplomat, Carlos P. Romulo. 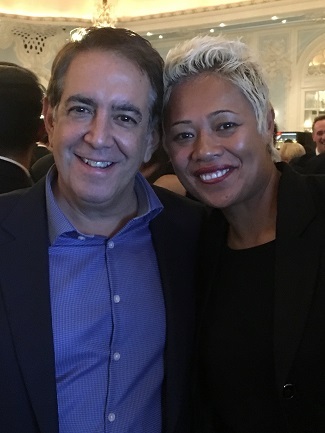 The 2018 TATLER Restaurant Guide was launched at the 15th Chris Joseph, co-owner of Romuloc Café annual TATLER Restaurant Awards held in the Ballroom at w/ Monica Galetti, BBC Master Chef Judge the Savoy, London on Monday, 30th October 2017. The champagne and canape reception was hosted by Kate Reardon, Editor-in-chief of TATLER, and Jeremy Wayne, TATLER Restaurant Editor. Attending the event on behalf of Rowena Romulo and Romulo Café were Chris Joseph, Director and co-owner, and Gina Consing McAdam, Marketing & Communications Director. To compile the guide, Wayne said TATLER had ‘scoured London for the best. From Haggerston to Heathrow, from Fulham to Finsbury Park, we bring you the cool, the cosy, the classic and downright unexpected.’ In the guide, Romulo Café is described as ‘modelled on a comfortable Filipino house and delivering delicious Filipino food with modern flair…Cocktails, complex and highly instagrammable, are paired with dishes such as prawns with crab roe and green beans, or pork-belly sisig with pickled apples to great effect.’ It went on to single out Romulo Café’s ‘family friendly feel’. Besides Romulo Café, other new entries to the guide include Jean-Georges at The Connaught, Mere (whose patron is BBC MasterChef judge Monica Galetti) and Henrietta in Covent Garden, now sharing the limelight alongside TATLER favourites such as Chiltern Firehouse, Yautcha and Wild Honey. Chris Joseph said, ‘It is remarkable that Romulo Café has been included in the 2018 TATLER Restaurant Guide. This is the go-to list for discerning foodies in an undisputed, extremely competitive food mecca. This can only mean that Filipino food is truly making itself known in the UK. It’s a solid win for Philippine cuisine. This is down to the hard work of the team, Rowena’s brilliant leadership, head chef Lorenzo. Rowena Romulo, speaking from the 14th Filipina Leadership Global Summit in Toronto where she received her award as one of the ‘100 Most Influential Filipinas in the World’, said, ‘My family and I are so proud that Romulo Café London is included in the 2018 TATLER Restaurant Guide. The much-awaited 2018 TATLER Restaurant Guide is a shiny supplement to society bible TATLER, which traces its origins to 1709 as a literary and society journal. The magazine’s current version has been published since 1901. The Philippine edition of the magazine (Philippine TATLER ) has been a major arbiter of society and culture since its launch in Manila in 2001. The 2018 TATLER Restaurant Guide will be distributed in the latest issue of TATLER, out on 2nd November in the UK. 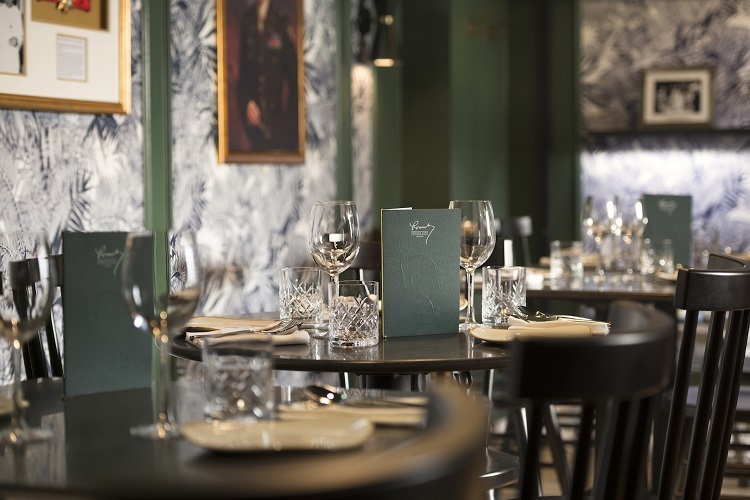 Romulo Café in London is located at 343 Kensington High Street W8 6NW. It is open 7 days a week, from Monday to Sunday, serving lunch, merienda and dinner. 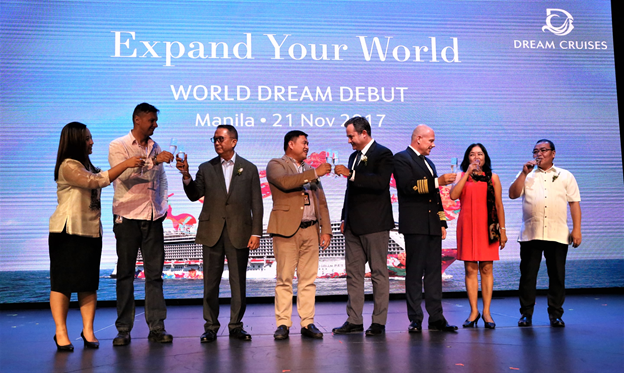 MANILA, PHILIPPINES – Over 2,600 passengers experienced the warmth and hospitality of the Filipinos as luxury cruise ship World Dream made its maiden call at Pier 15 of the Manila South Harbor. “We welcome World Dream to the Philippine shores, the largest cruise ship for the year, as we continue to position the country as one of the major cruise hubs in Asia. This milestone is another sign of the confidence and trust from cruise lines especially Genting-Star Cruises,” Department of Tourism (DOT) Secretary Wanda Tulfo-Teo said. The 18-deck ship, designed for the Asian cruise market, will include port calls to Manila and Boracay and is home ported at Hong Kong. With a speed of up to 24 knots, the ship will have a great flexibility to serve exciting Asian itineraries. Built only in 2016 by Meyer Werft in Germany, World Dream will grace the country’s seaports from November 21, 2017 to March 28, 2018. “As we broaden our cruise tourism portfolio with more exciting shore excursions and plans for our very own dedicated cruise port terminal, we continue to welcome more and more cruise passengers and bigger cruise ships for the years to come,” added by Teo who was represented by Assistant Secretary Daniel Mercado at the World Dream presentation at its Zodiac Theater. An estimated 122,000 cruise passengers from 140 cruise calls are expected by the end of the year. This is over 90 percent increase from 72 cruise calls last year. “With the introduction of World Dream, Dream Cruises is now a fleet and with strong destination partners such as Manila. 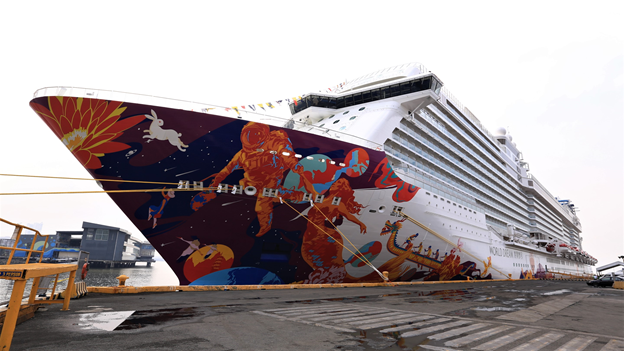 Dream Cruises is proud to be an exciting part of Genting Cruise lines’ leadership role in promoting the growing tourism and related industries throughout Asia and specifically the Philippines,” World Dream President Thatcher Brown shared. World Dream follows its sister company’s SuperStar Virgo which homeported in Manila and which called at Laoag, Ilocos Norte early this year. Subic Bay Metropolitan Authority Senior Deputy Administrator Ramon Agregado (left), Tourism Manager Jem Camba (second from left) and Tourism Officer Raquel Junio (right) receive the award from Sports Industries Awards Asia Judge Cynthia Carreon. 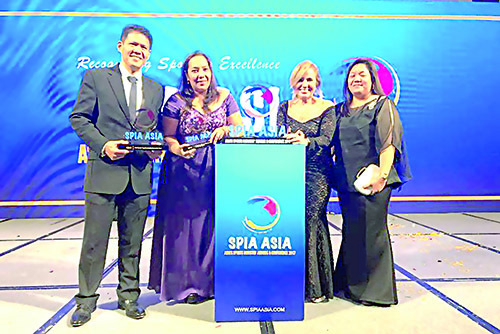 SUBIC BAY FREEPORT—Years and years of hosting triathlons, fun runs and other sports events finally paid off for the Subic Bay Freeport Zone as it was adjudged the “Best Sports Tourism Destination of the Year” during the third Sports Industries Awards and Conference Asia (SPIA Asia) on Tuesday in Bangkok, Thailand. Subic snagged the gold award in the sports-destination category with its thematic “Funtastic Subic Bay” program that stressed the unique experience of fun and adventure in a natural setting. Australia’s “Visit Victoria” received silver and “Amazing Thailand” won bronze in the same competitive class. The Subic Bay Metropolitan Authority (SBMA), which manages the Subic Freeport Zone, also bagged the silver award for Best Sponsorship of a Sport, Team or Event in the $250,000 category for sponsoring triathlon events here in 2014 to 2016. The destination award, Eisma added, “speaks well of the natural drawing power of Subic’s unspoiled environment combined with modern amenities that visitors find very appealing.” The awards were received by SBMA Senior Deputy Administrator Ramon Agregado, SBMA Tourism Manager Jem Camba and tourism officer Raquel Junio during the November 7 ceremony held at the Centara World Convention Center in Bangkok. Camba said the awards stand as a solid accomplishment for “Team Subic Bay” because Subic stakeholders gave their full support and best service for every sporting event held in the Freeport. Camba also noted support from the Department of Tourism in Region 3 (DOT 3) and DOT 3 Director Ronnie Tiotuico in helping build Subic’s reputation as a sporting capital. Industry records showed the Subic Bay Freeport earned a ranking of 85.8 percent in the 2015 Ironman 70.3 Asia-Pacific Championship (Apac) overall satisfaction scores. The race ranking was just 0.09- percent shy of the global standard’s 85.89 percent and pushed Subic’s ranking above the Asia-Pacific standard of 83.95 percent. The 2015 Ironman 70.3 Apac overall satisfaction scores placed Subic, along with Cairns in Queensland, Australia, at No. 6 among the best triathlon sites in the Asia-Pacific Championship series. The list was topped in 2016 by Sunshine Coast in Queensland, Australia with a satisfaction rating of 90.2 percent. Pacific Asia Travel Association (PATA) UK and Ireland, recently concluded the last quiz nights in Cork and Dublin Ireland. Both events were attended by travel agents in the region and proved to be another successful event for all exhibitors and travel trade alike. A total of 66 agents joined the two events. 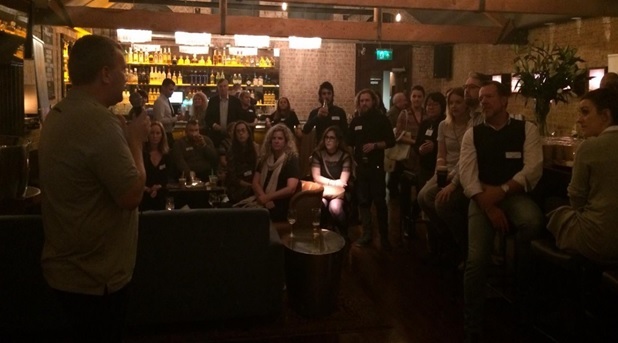 PATA UK and Ireland regularly organizes quiz nights and taste of PATA events, among others, for the travel trade around United Kingdom. This year focus on Ireland increased as agents responded greatly to the events and are eager to meet exhibitors from London. BORACAY ISLAND—The province of Bohol and the island of Boracay had been included in the top 10 best destinations for kids in Asia. The website Poor Travellers said Bohol province ranked fifth, and the island of Boracay was at sixth. The website, however, cautions tourists coming to both Bohol and Boracay with kids to coordinate with the Department of Social Welfare and Development to ensure the welfare of the children. The first in the lists was Tokyo, Japan, because of both its Disneyland and Disney Sea destination; followed by Hong Kong, which also has its own version of Disneyland. The third was Seoul, South Korea, and the fourth was Singapore for their Universal Studio. The fifth was Bohol because of its tarsier. It was followed by Boracay which features its white, beach and other water-sports activities. The seventh was Osaka and Kyoto in Japan. No. 8 was Dubai in the United Arab Emirates; ninth was Bali, Indonesia; and tenth was Johor Baru, Malaysia. Savoy Hotel Boracay is a six-story hotel that features 559 well-appointed rooms, the Savoy Café, a sophisticated urban all-day dining which offers a modern and contemporary cuisine, a swimming pool with lounges and pavilion pool bar, meeting rooms and banquet facilities, a state-of-the-art fitness center and a spa. 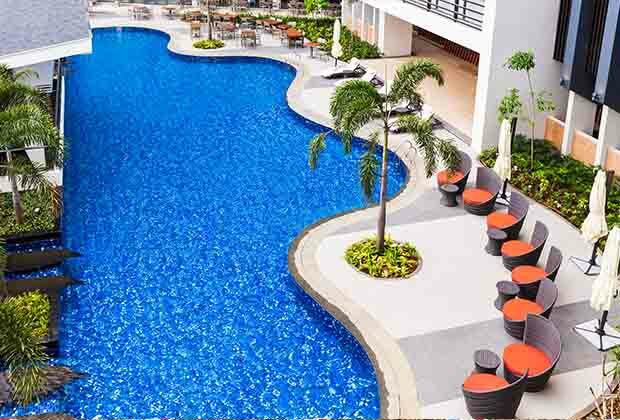 It’s a 4-star hotel located right at the heart of the Boracay Newcoast, an expansive stretch of white sand beach and clear blue waters. 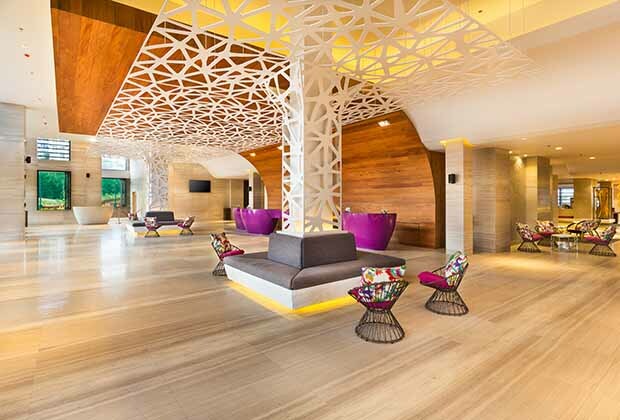 Savoy Hotel Boracay’s color palette of aqua, magenta, purple and green combines a vibrant and hip vibe that lives up to its tagline, color your experience. Surrounding the hotel is a huge party pool, the first and only concert pool arena in the country, with wading pool and pool deck with cabanas and lounges. A 10-minute walk from the hotel is the Newcoast Beach, a 295-meters of white and powdery sand beach stretch with a private feel and relaxing ambiance. A vibrant and hip place with a contemporary beach lifestyle that defines a world of its own. Enjoy the sun, sand and sea and get to color your experience only at Savoy Hotel Boracay. Savoy Hotel Boracay Newcoast is located at Newcoast Drive, Boracay Newcoast, Brgy. Yapak, Boracay Island, voy 5608, Malay, Aklan. To find out more, visit our website at www.savoyhotelboracay.com.ph or call us at +63 2 318 8834 to 37 for inquiries. Like us on Facebook at SavoyHotelBoracay and follow us in Instagram at savoyboracay.